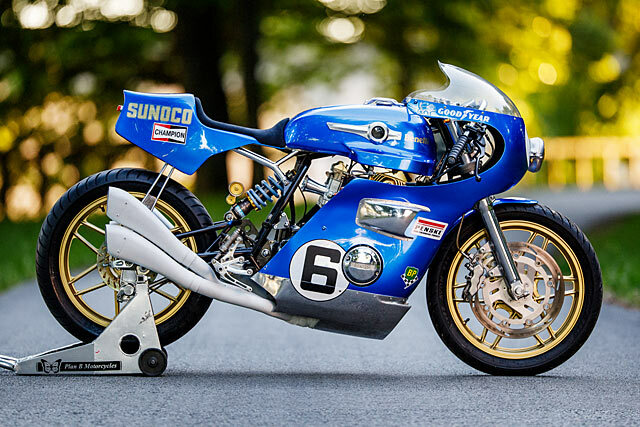 While the ’60s and ’70s produced many of the motorcycles that would go on to be part of the custom motorcycle revival we live through now, it was also the golden age of sports car racing. The period is remembered by most for the early dominance of Ferrari and the famous fight back of Ford’s GT40. But for many proud Italians, the short-lived Ferrari 512M holds a special place in their hearts and Christian Moretti of Plan B Motorcycles wanted to pay it a fitting tribute. So when the right customer came along with another special Italian of the era the planets had perfectly aligned. It’s no replica, they prefer resto-racer, a Benelli 354 sport built as a tribute to the 512M with raw Italian pride. Oscar Wilde once said “Beauty is a form of genius”. If this is true, then German builder Julius Bott is one clever guy. 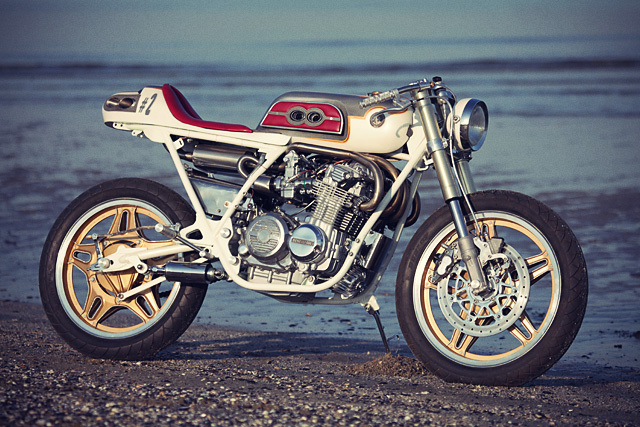 Julius built this beautiful Benelli Cafe Racer after purchasing it from a friend a few years ago. It was a complete wreck, or a piece of “sheisse” as they might say in German. 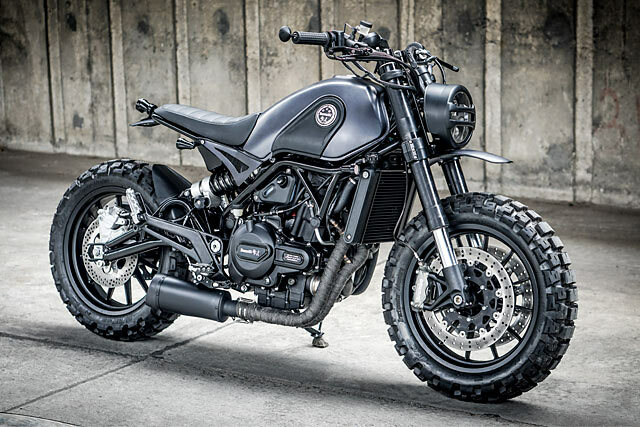 It took Julius two solid years to rebuild this bike from the ground up. 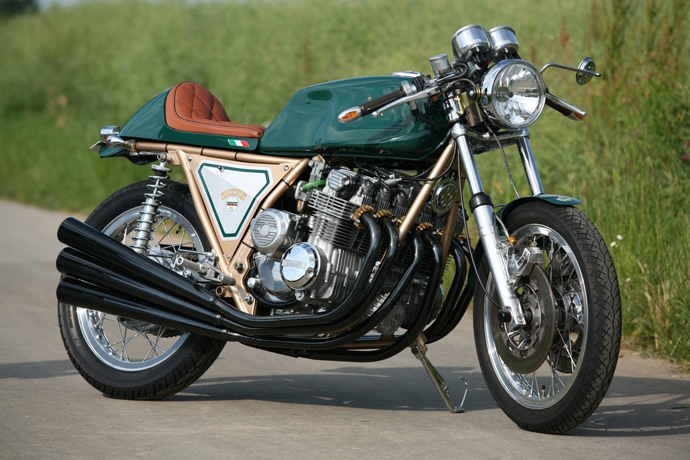 He knew right from the beginning that he wanted to build a classic styled cafe racer. Julius started by completely overhauling the engine back to better than original condition – it still produces 58 hp. Amazingly, the Benelli Sei was the first production motorcycle with a 6-cylinder engine – based on the four-cylinder Honda CB500 only with two extra cylinders. Julius has added many things you wouldn’t find on the original though. Like the tank which is an old Honda racing tank and the seat is off a Laverda. He also replaced all the electrics and repainted the frame in a striking gold. One word sums up this stunning project, and it’s the only other German word I know (apart from Bier)… wonderbar!